Note: click on the photo (thumbnail) for full size JPEG pictures! Clicking on any one thumbnail will display all photos in a particular row. 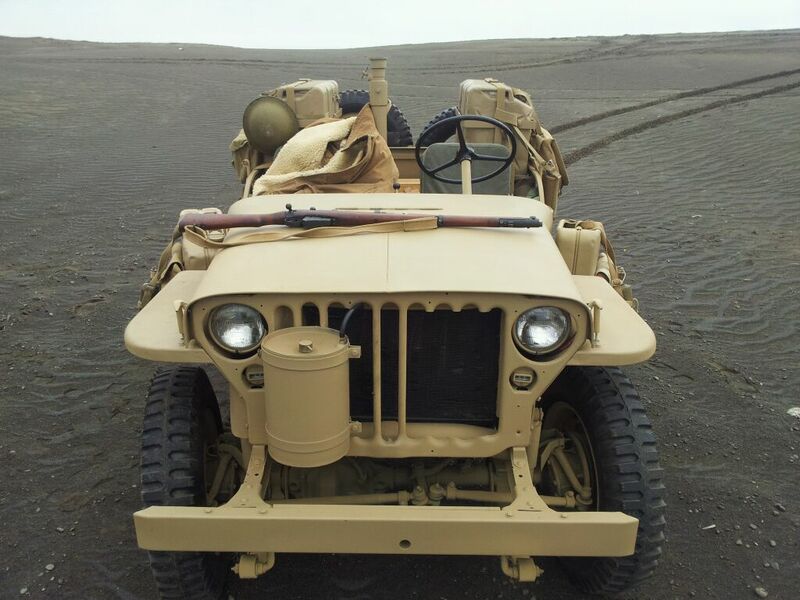 PPA Jeep owned by Kevan Bowen from Washington. 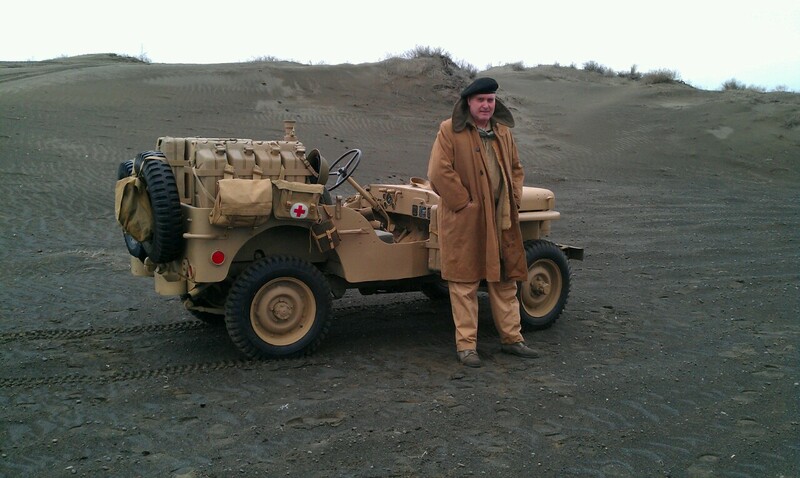 G-Patrol Jeep with it's new "Twin K Guns" owned by Dan Piedimonte. 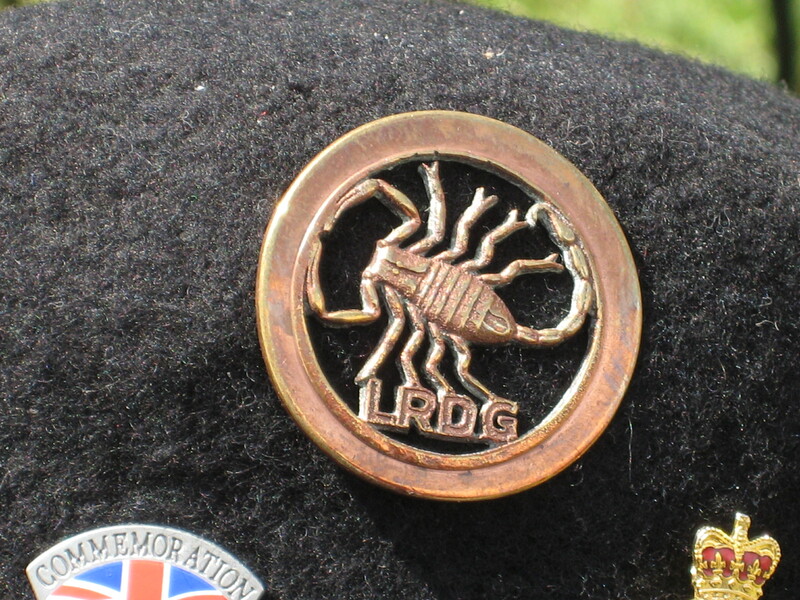 What does a real LRDG hat pin look like? 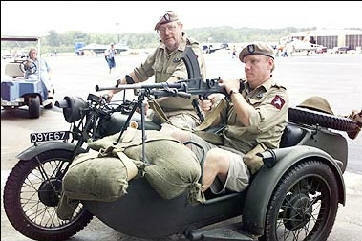 Picture of my 1943 BSA M-20 Motorcycle and sidecar. We have it outfitted in the SAS configuration. If you would like to put it in your site, that is fine with me. First photo: a recently acquired boat compass that was at times used by LRDG units when sun compasses or other devices were unavailable. Second and third photos: theodolite and hand compass. First photo: Show display case containing various artifacts: an original German WWII fabric map of North Africa, match book and cigarette's, an LRDG issue dagger (confirmation pending), and LRDG truck models. Second photo: Lewis gun .303 case which held eight drum magazines. Unfortunately we don't have the gun or magazines yet! Third photo: Flare pistol mounted on front firing post which was available for quick and easy access. 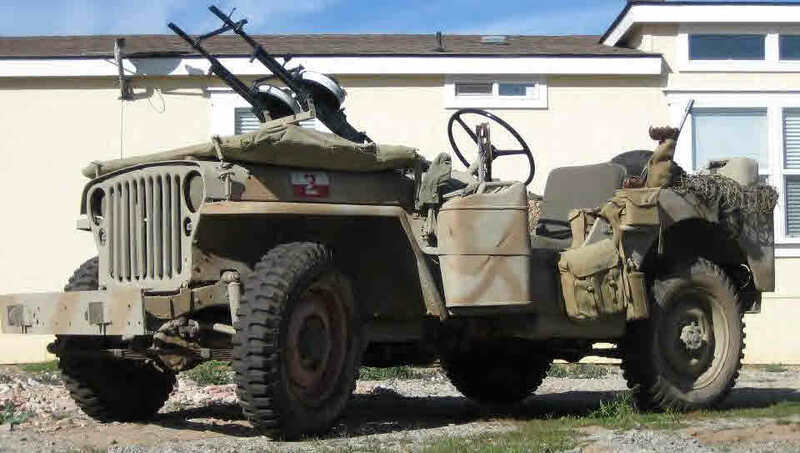 First photo: Vickers 303 water cooled medium machine gun (non-gun replica). Second photo: Bren Mark1 ( de-milled blank firing only). Third photo: SMLE No1 Mk111 (EY); this is the Short Magazine Lee Enfield (Extra Yoke) with the discharger cup for the No36 Grenade (Mills bomb de-milled). This had a 7sec fuse when fired from the rifle and the cartridge was a .303 BALLISTITE. It packed a fair wallop and really messed up the barrel. 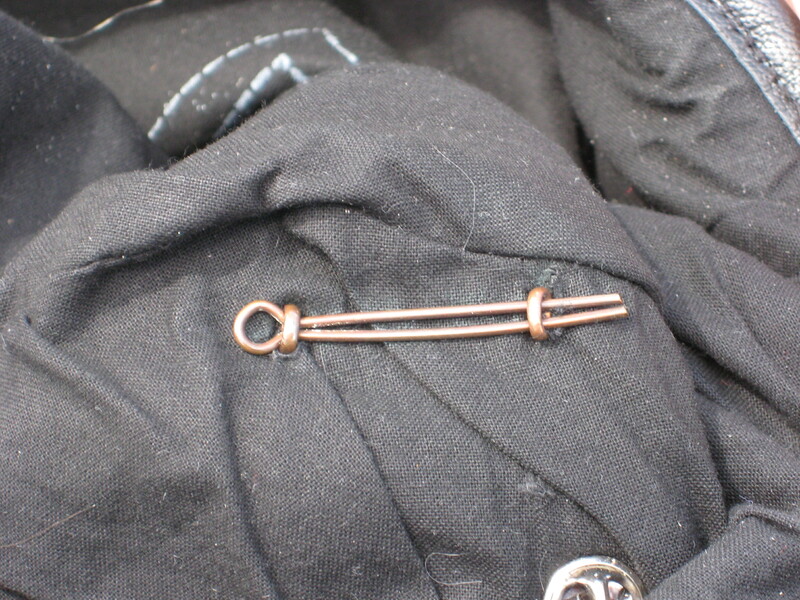 The rifle was re-enforced with copper wire to keep it in one piece when firing the high pressure Ballistite 303 cartridge used to propel the mills bomb. Rifle description courtesy of Kevin Bovill, Perth W. Australia. 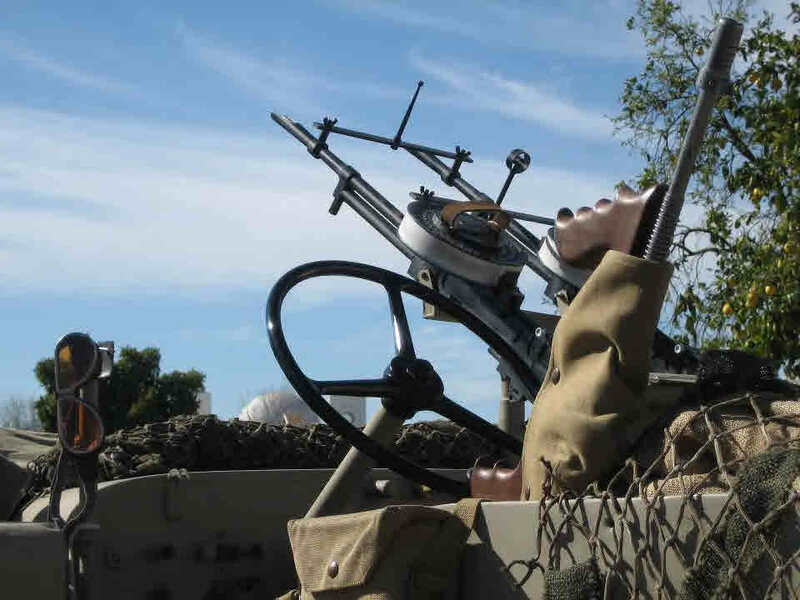 First photo: Bren Mark1 303 with 100 round drum anti-aircraft configuration (de-milled blank firing only). 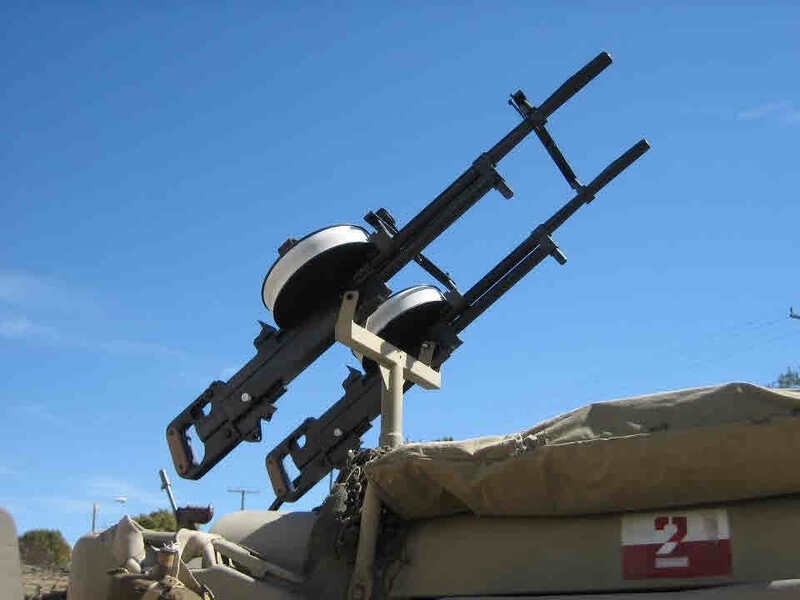 Second photo: same Vickers as above. First photo: hand pump used to inflate "low pressure" type desert tires. 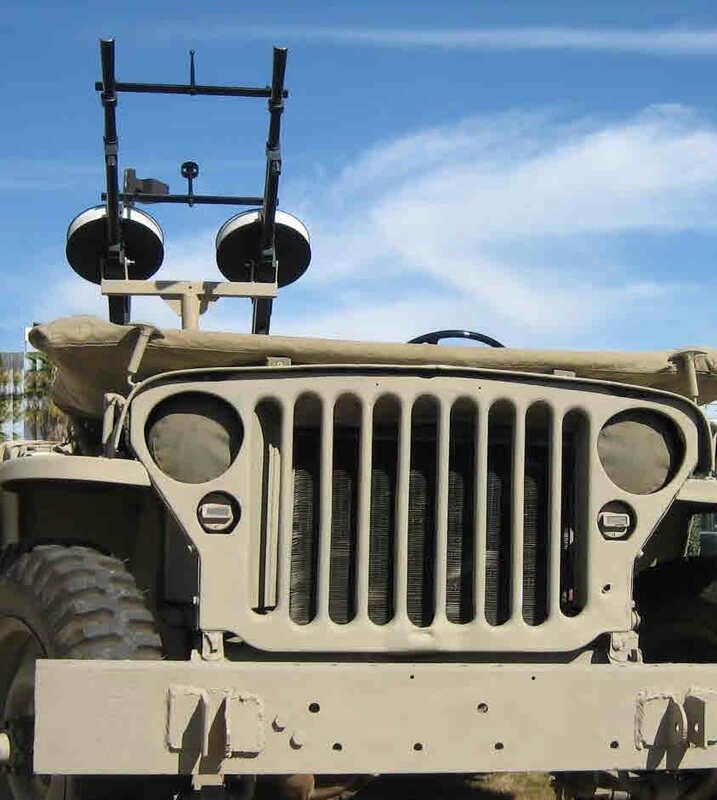 Second photo: military head lamp assembly. 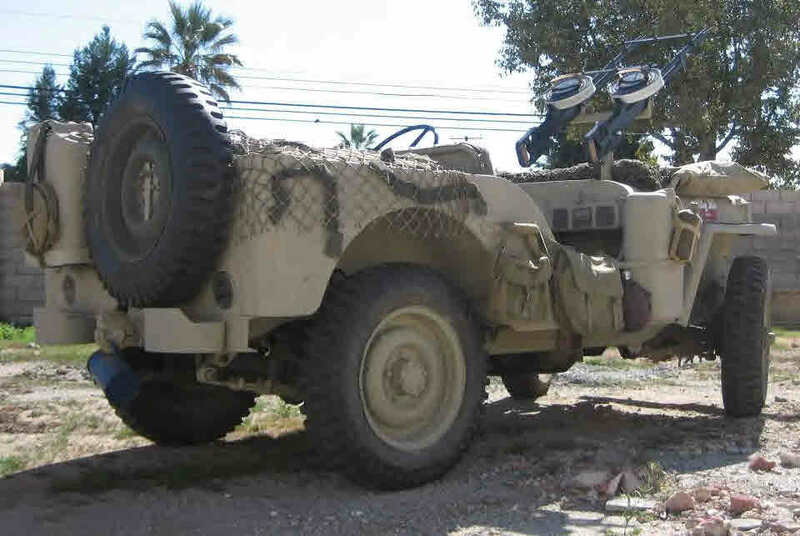 Third photo: LRDG dagger. 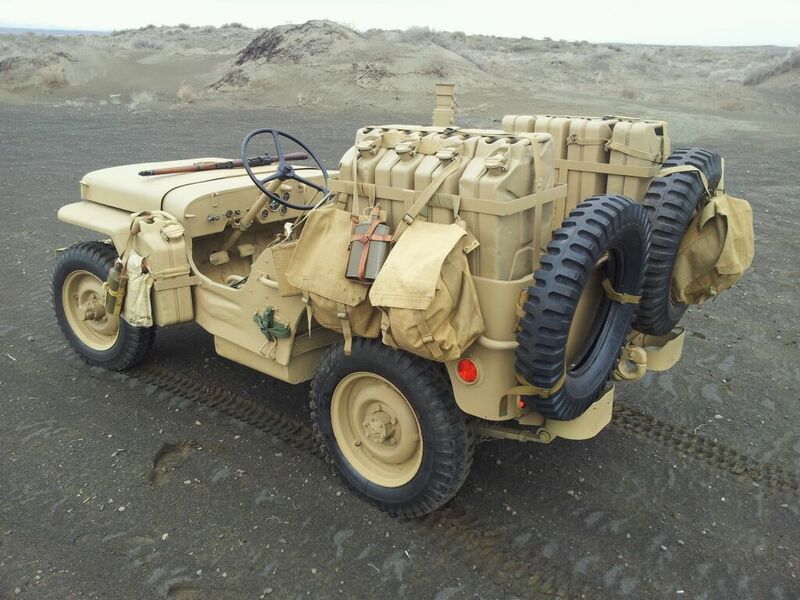 First photo: various canteens LRDG units used, on the left captured Italian equipment, middle larger vehicle canteen and on the right is a personal canteen. 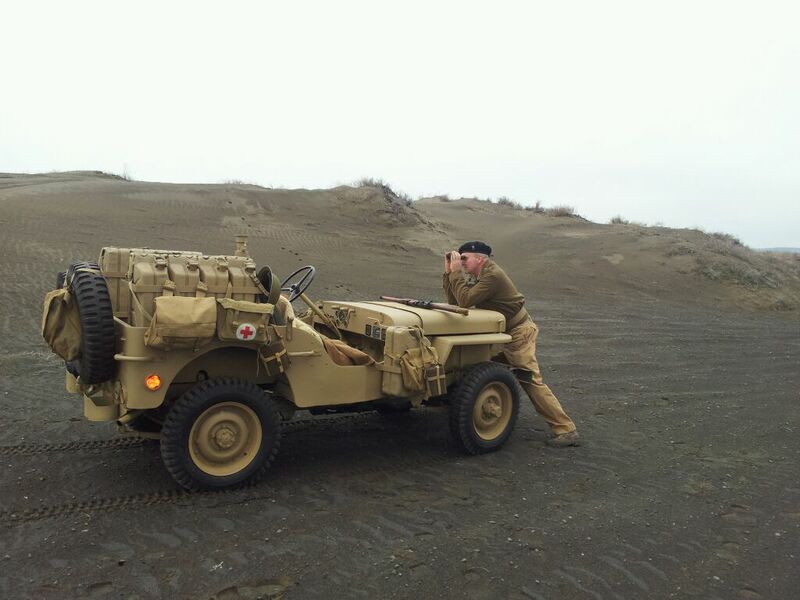 Second photo: a demonstration of the sand mats used to help excavate stuck vehicles. Third photo: a sun compass used for desert navigation (photo curtsey of Adrian Brown, U.K.), the California boys are still looking for one! 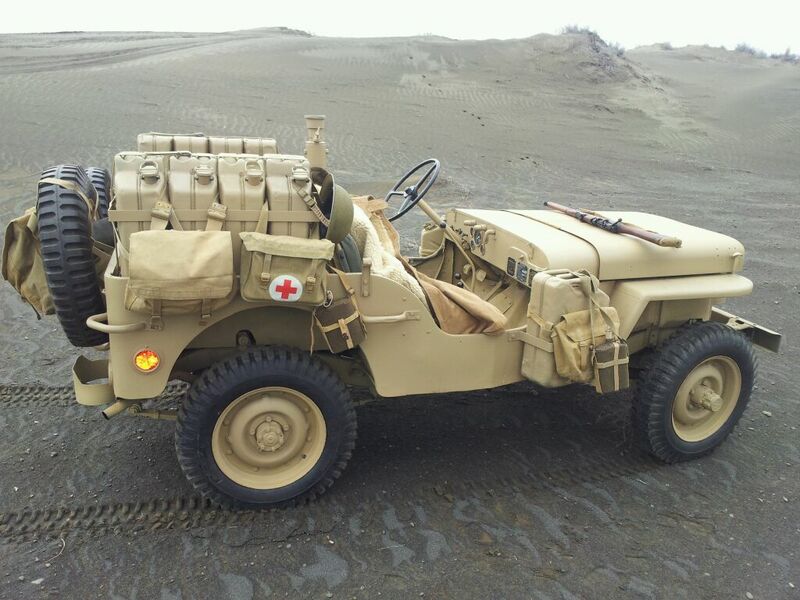 Photos from Brendan O'Carrol (Auckland, New Zealand) whom is writing a book about the LRDG. 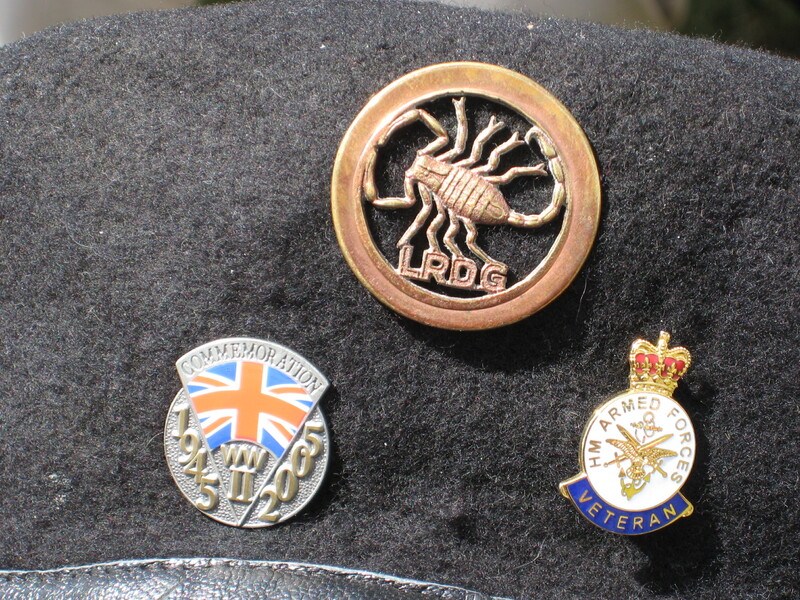 First photo original NZ LRDG T patrol flag, goggles and web belt. 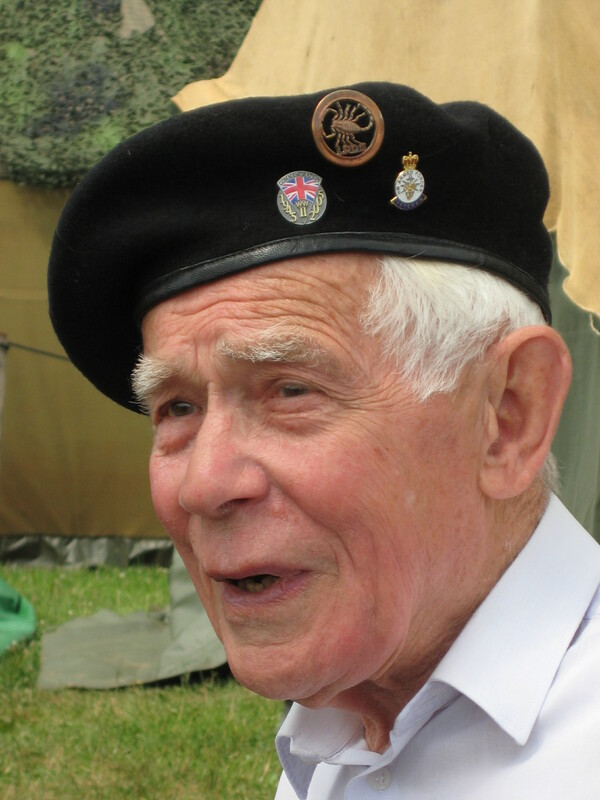 Second photo NZ LRDG patrol member with Lewis gun (we think this is Brendan) and the last photo original LRDG head dress and insignia.